Our partners Operadagen Rotterdam present Have a Good Day! on Wednesday, 17 May. It will take place in Rotterdamse Schouwburg (just across the square from de Doelen), 19:00 – 20:00. As an associated event of Classical:NEXT, discounted tickets are available for delegates here with the promo code classicalnext17. Have a Good Day! 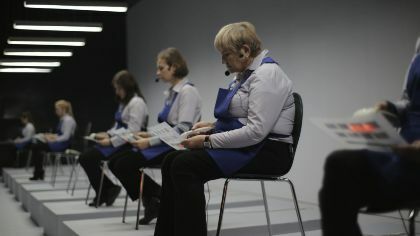 is an opera focusing on the lives of shopping centre cashiers through the use of humour, paradox, irony and poetry. You can buy your discounted tickets online now. Information about Have a Good Day!